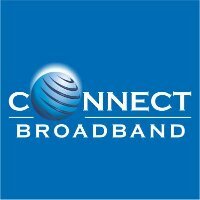 Connect Broadband(Customer Care, Toll-Free Helpline Phone Number, Office Address)-In Punjab, Connect Broadband is the most accessible high-speed network as compared to other Broadbands. It is one of the best network used and tested by many. They understand the importance of delivering quality products and services to nurture long lasting relationships with our customers. Connect services does not cover all cities of Punjab but the company is planning further investment in a phased manner to cover the Punjab telecom circle completely. CUSTOMER CARE :- Connect is providing very customer care service. They are providing a single window opportunity to all customers for queries. Connect Care, S.C.O. 5, District Shopping Centre, Old Jail Road, Ranjit Avenue, Amritsar. Connect Care, Ground Floor, R.S. Tower, Hall Bazaar, Amritsar Connect Care, S.C.O. 953/549, Near Saini ICE Factory, Near Milan Palace, Batala Road, Amritsar. Connect Care, Opp. Jaycee Motors, 100 Ft Road, Amritsar Connect Care, 54 Kabir Park, Opp. Guru Nanak Dev University, G.P.O, Amritsar. Connect Care, 2nd Floor, Sardar Dalip Singh Ahluwalia Complex, Near New Bus Stand, Guru Kashi Marg, Bathinda. Connect Care SCO 450-451, FF, Sector- 35 C, Chandigarh. Connect Care, S.C.F. 3, Sector 27-B, Chandigarh. Connect care D.S.S. 317, 1st Floor Sector 9 Panchkula, Haryana 134109. Connect Care, SCF 23, Phase 7, Mohali. Comment below if you have any complaint with this giant broadband fish.